Our eyes are part of our brain. You discover this when you try to see Azure Kingfishers. An Azure Kingfisher is tiny. If you held one in your hand they wouldn’t fill your palm. Yet, traveling by boat along the broad Mary River Billabong in Australia’s Northern Territory, where they are common, you can find them perched on the bank. If you trust your eyes. All you see is a flash of blue. The flash is as tiny and brief as sun reflecting off a raindrop. The first time you see the blue flash, your brain doesn’t process it as a bird. Your eye sees it, but the brain thinks its nothing and dismisses it instantly. This is not a conscious process – information travels from your retina to your brain at 10million bits a second. I’ve watched it so many times. On a boat cruise with 20 people, the wildlife guides and birders see the blue flash and act on it. Tourists and first-time-kingfisher-viewers don’t. 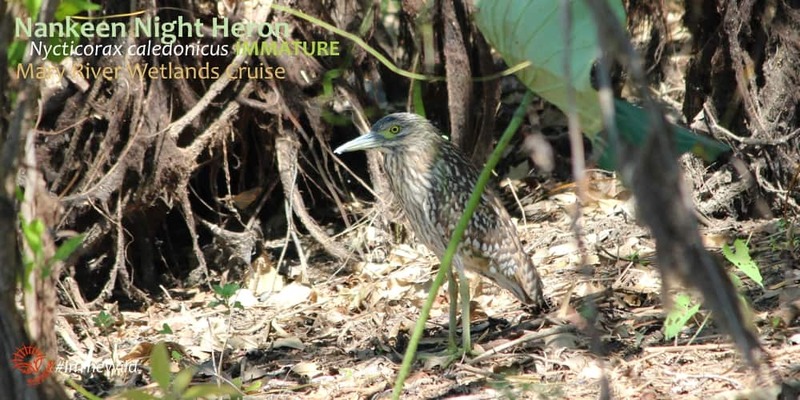 It’s not that their eyes are poor – the same tourists will see where a phenomenally-cryptic immature Nankeen Night Heron is hiding on the bank – their brain just hasn’t learned it yet. Australian Kingfishers are glorious and all are partly blue. Most are tiny, but two – the kookaburras – are some of the largest kingfishers in the world. The Little Kingfisher Alcedo pusilla is the smallest and one of the hardest to see. But that’s not surprising when you do see one, dwarfed by a leaf. A small leaf. One time we were standing at a crocodile-viewing platform for 10 minutes before we saw the Little Kingfisher. He flashed – out and back – onto his favourite perch just beneath us. I’m sure he’d been there the whole time. And he stayed and enjoyed his seafood dinner while we enjoyed our sundowners. 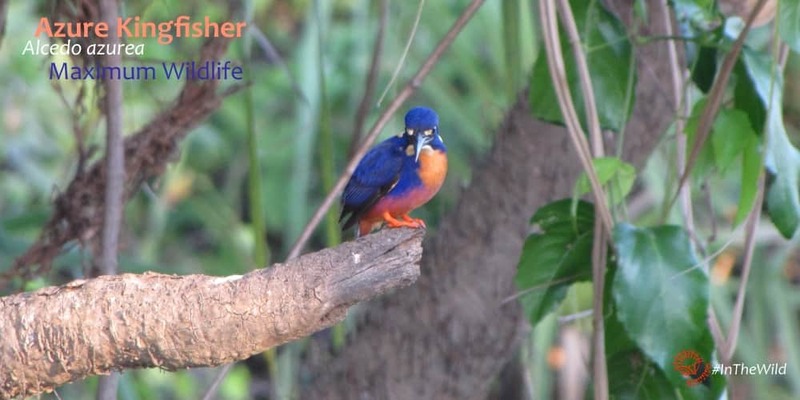 The Azure Kingfisher Alcedo azurea is much larger than the Little. In the same way as a grape is much larger than a blueberry. 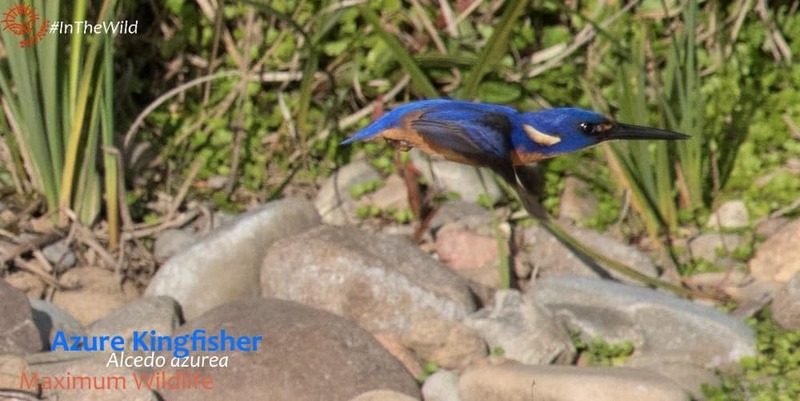 They love to fly – flash – low along the banks of rivers, where healthy native vegetation provides good perches and safe breeding habitat for fish. We see Azures in several places on the Maximum Wildlife tour – many in the Top End on the Mary River, several in East Gippsland along the Snowy River and on a boat cruise on Mallacoota Inlet. The Forest Kingfisher Todiramphus macleayii is the next size up – at a whopping 17-23cm. About a quarter of that is beak though, so a big one only stands as tall as your mobile phone. 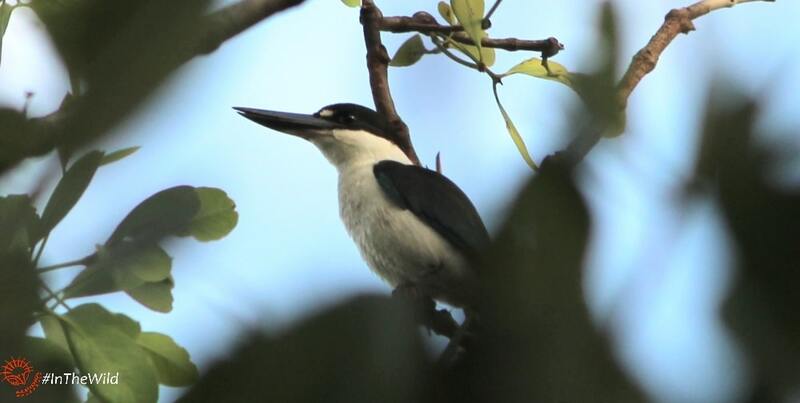 They flash in a different way to the Azures – they are tree kingfishers – so are often up high. The electric blue of their wings and backs dazzles against lush green monsoon rainforest of the Top End. Tree Kingfisher, subfamily Halcyoninae: a group within the kingfishers comprising around 70 species of tree-dwelling, brightly-coloured birds that mostly eat reptiles, invertebrates and small mammals. 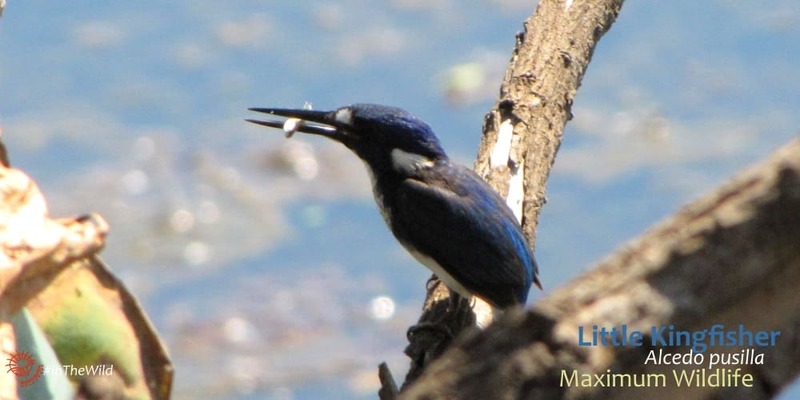 Most live in forests, and they are not closely connected with water like the smaller River Kingfishers (which includes the Common Kingfisher of Europe) of subfamily Alcedininae, and the Water Kingfishers (including all the American kingfishers) of subfamily Cerylinae. The Sacred Kingfisher Todiramphus sanctus is like a Forest, but turquoise green rather than blue. They are gorgeous! 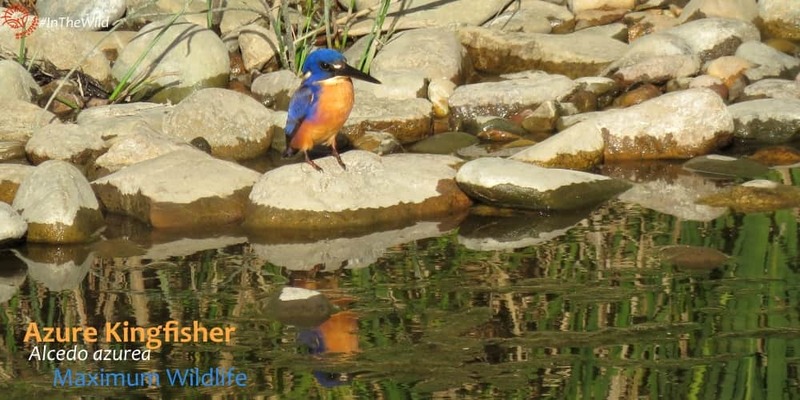 I love to hear the first Sacred Kingfishers call each year in October in Melbourne – its means spring is really here. I’ll never forget watching a family of Red-backed Kingfishers Todiramphus pyrrhopygius amongst the ancient Cypress Pines – Callitris sp. probably C. glaucophylla – of Mungo National Park. 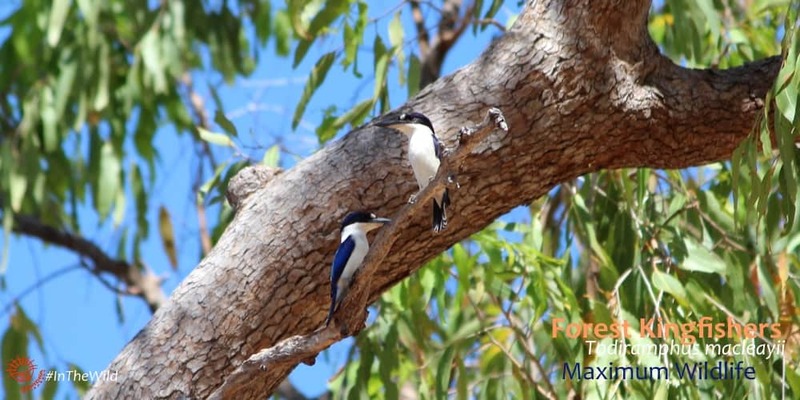 They are a mid-sized Australian kingfisher, but they were totally dwarfed by the huge trees they were using as hunting perches. 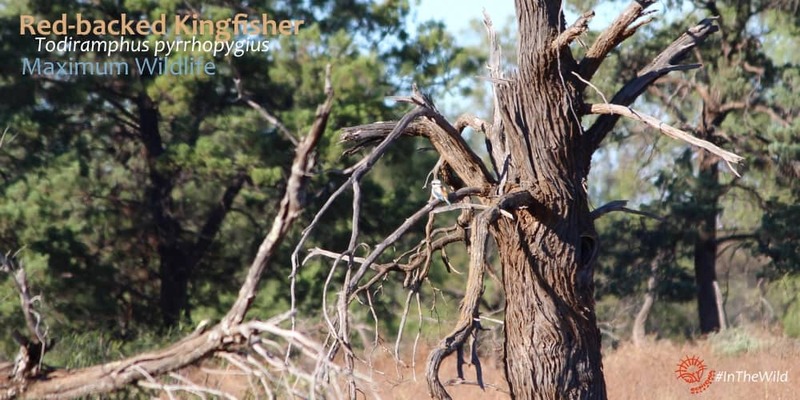 See if you can spot the bird in this pic. 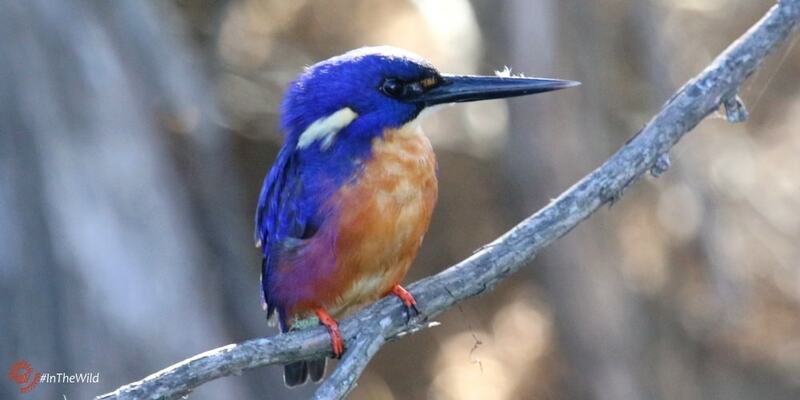 We have a ‘new’ kingfisher in Australia too – the Torresian Kingfisher Todiramphus sordidus . They used to be a Collared Kingfisher – a species that lives all through Asia – but ornithologists have decided that our Aussie/PNG/Indonesian bird is different enough to rate its own species. Torresians can be seen in the mangroves of northern Australia. 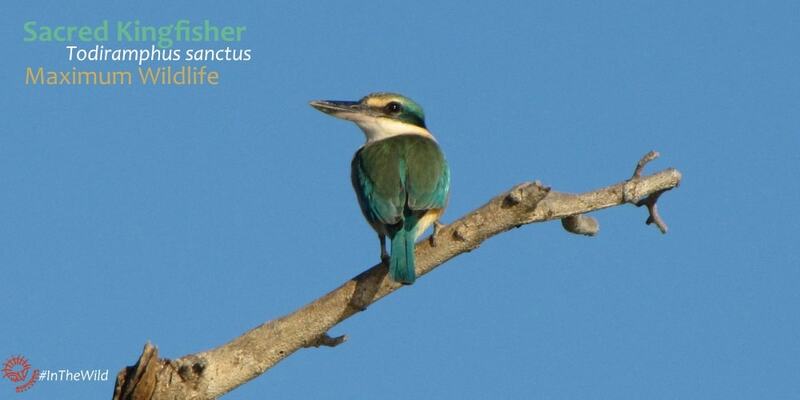 All the world has kingfishers, but only in Australia & New Guinea can you see kookaburras. Kookaburras are very large, tree-dwelling kingfishers in the genus Dacelo. There are only four in the world and all live in Australia and New Guinea. Australia has two species. 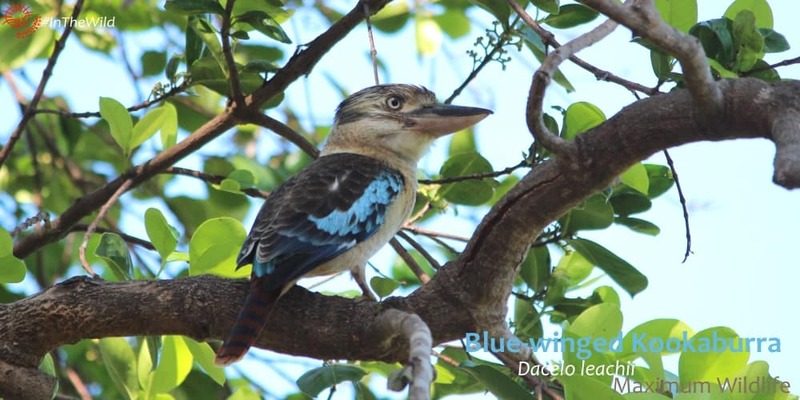 The Blue-winged Kookaburra Dacelo leachii lives in northern Australia, and is a whopping 38-40cm (including beak). Their call is loud, hilarious, and (don’t tell them I said this) slightly ridiculous. They start to call before dawn in Jimmy Creek rainforest in the Top End, almost like they are getting in early before the real songsters start. 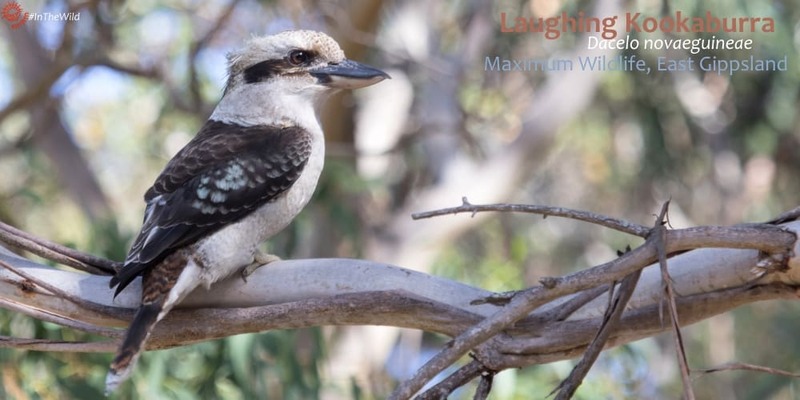 The Laughing Kookaburra Dacelo novaeguineae is the biggest, and the world’s most famous kookaburra. 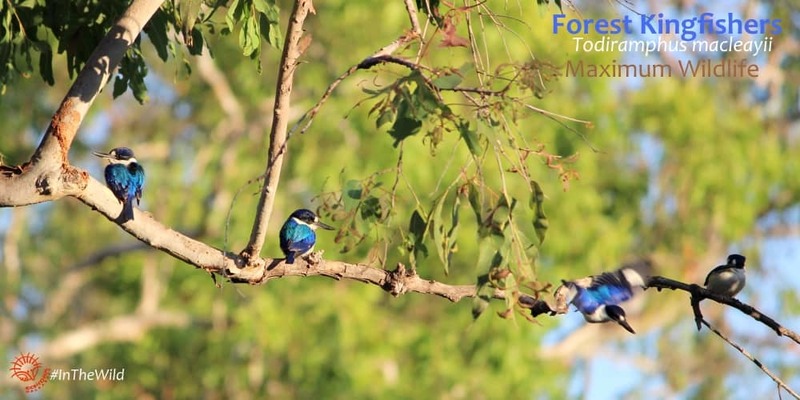 They are one of the most iconic birds of Australia, and the one we are most often asked to see by tourists. A Little Kingfisher could easily fit inside a Laughing Kookaburra’s beak, and some unwary kingfishers probably have. If you’re not squeamish try this image search: kookaburra eating bird – you’ll be amazed at how large a bird a kookaburra can eat! They really do sound like they’re laughing, and even thinking about their call makes me smile. Listen to them on the wonderful Wild Ambience site. 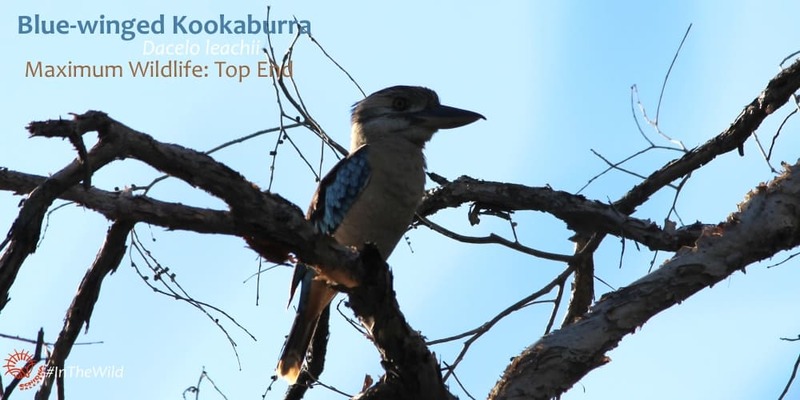 You can listen to the even-sillier Blue-winged Kookaburra call here (the second recording is hilarious). 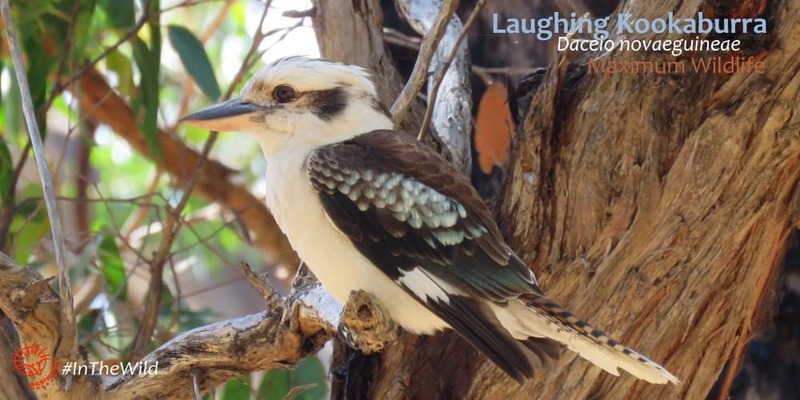 Many people wrongly call the Laughing Kookaburra a Blue-winged Kookaburra when they see the flash of blue in the wings. Both species have some blue wing feathers. The Blue-winged has lots of blue in the wings and back, a pale head (sometimes grey-ish but never striped), white eye and only lives in northern Australia. Laughing Kookaburra lives in southern and eastern Australia, has a dark eye, dark crown and broad dark stripe through the eye. 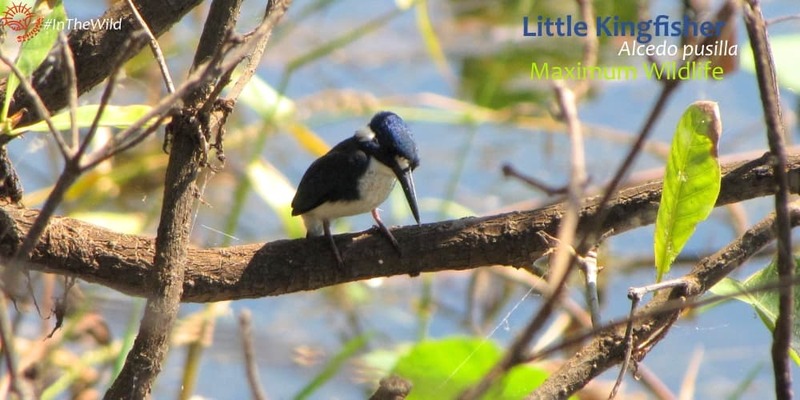 When you come on a Maximum Wildlife tour your Wildlife Guide will show you kingfishers, but most importantly, will show you how to see kingfishers for yourself. 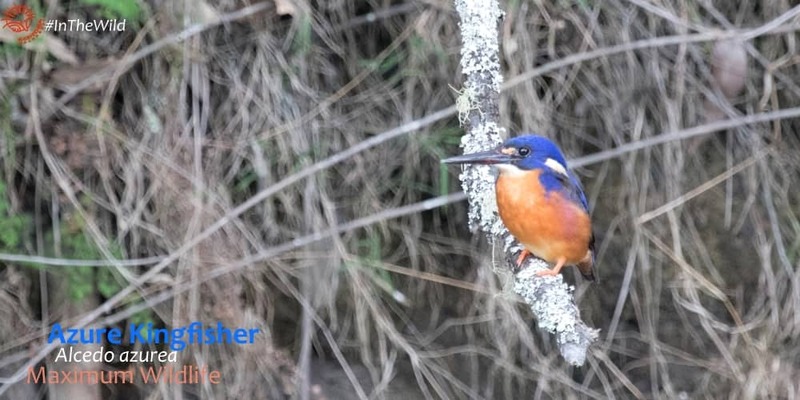 So when you next see the blue flash – whether it is somewhere else in Australia, or a Malachite Kingfisher in Africa, or a Common Kingfisher in Europe or Asia – you’ll know to get your camera out.